Love it or hate it, shopping is a necessary part of everyday living. Whether you're shopping for groceries or items for the home, here are a few tips for staying organized when you're out shopping! If you've got several places to go, outline your route before you go. Consider everything from traffic patterns to whether or not you'll be buying perishables that need to get home quickly. Try to bundle trips to shops in the same area whenever possible. Keep lists and coupons organized in a portable file or reusable envelope that can easily go from your house to the car. Add to the list throughout the week so you don't forget anything on shopping day. Keep the list organized based on your shopping trip. For example, if you have multiple stops to make, outline the list in that order. For grocery trips, make your list in the order that your favorite store is laid out. 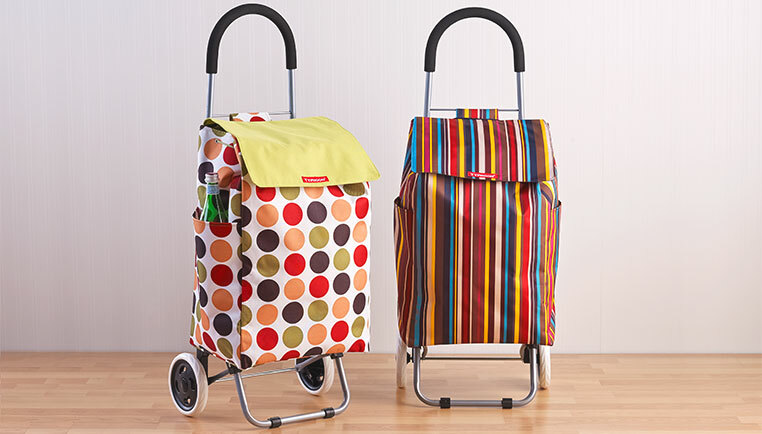 Depending on where you live, hauling purchases from the store can be easier with a collapsible shopping cart. To help remember to bring your reusable bags, store them on a hook near your home's entryway, and include a reminder at the top of your shopping list to bring them. When you put the bags in your car, place your handbag on top of them as another reminder to take them inside with you. As soon as you empty them, put them back where they belong so that they're already with you next time. If you need to save receipts, select an accordion folder or scan them onto your phone using one of the various receipt apps that are available.